ASBURY PARK, NJ -- Workers at a New Jersey restaurant found ducklings falling from the sky, and they quickly jumped into action to save the babies and reunite them with their mother. Seven ducklings hatched on the roof of the Asbury Festhalle and Biergarten in Asbury Park, then wanted to follow their mother to the ground Thursday. Office manager Adria Alfro says workers spotted the nest several weeks ago and shielded it from customers. 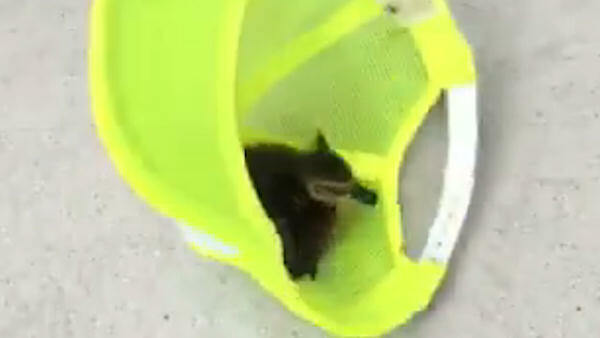 Alfro says when her boss, Jennifer Lampert, arrived Thursday, the mother duck was on the ground quacking. Then she felt something brush by her and realized the ducklings were jumping. The sous chef used his hat to catch two of the ducklings, and Alfro stopped traffic so the family could cross the street and enter a lake. They named the ducklings Hans, Tobias, Greta, Pavol, Filip, Marta and Sebestian.